Apartment N. 188: It can accommodate up to 6 people, it is rented from 188 € per Night (not per person). 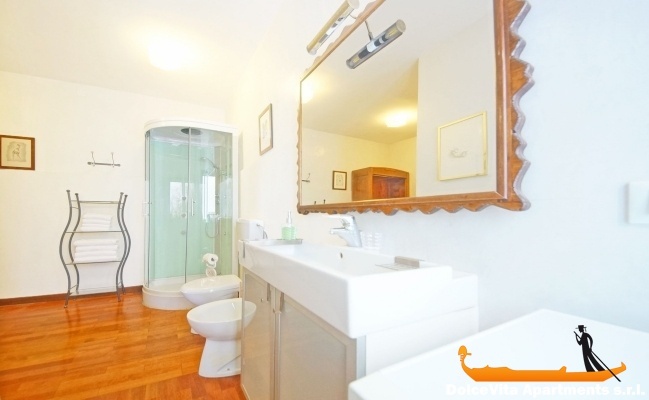 Venice Apartment Grand Canal View: Very nice apartment of 80 square meters overlooking the “ Canal grande”, just opposite the famous Ca’ d'Oro palace in the San Polo area. This beautiful holiday home has a kitchen, two triple bedrooms and a bathroom with shower. 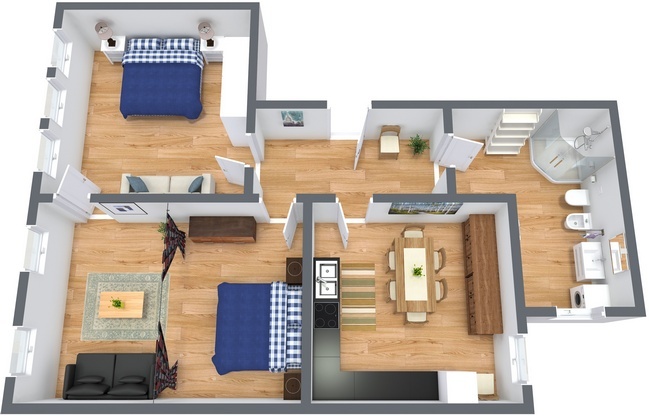 The apartment can accommodate up to 6 people with two double beds and two single sofa beds. All comfort is available: 32p LED TV, dishwasher, washing machine, iron, hairdryer, oven, dishes, microwave, American filter coffee machine and coffee maker. There is also a Wi-Fi connection. 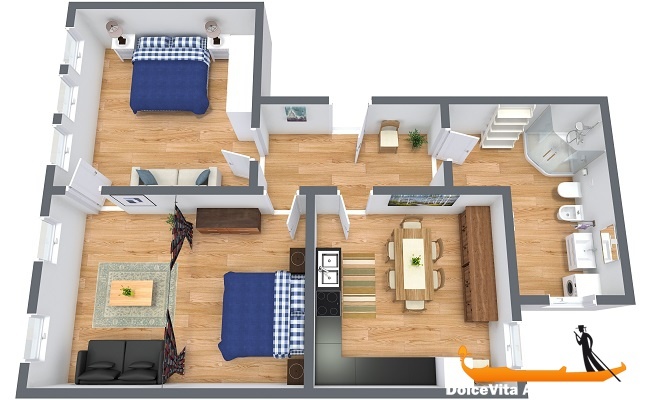 The apartment is located in the heart of Venice and it has a strategic position to move. The Rialto Bridge and St. Mark's Square are respectively 3 and 10 minutes away. The closest vaporetto stop is Rialto Market, just 3 minutes walk. Finally, the beautiful “Frari Basilica” is about 900 meters away.